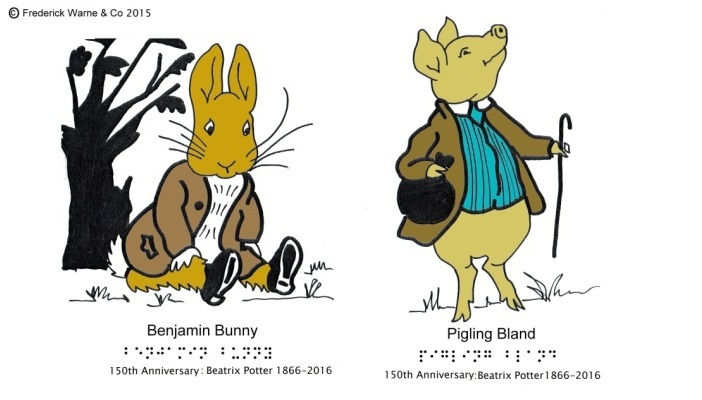 Beatrix Potter characters have been produced in a tactile format to make them more accessible for children with vision impairment. Peter Rabbit and friends have been printed on A5 blank greetings cards made from swell paper, which is heated and produces a raised line, to give people with vision impairment an understanding of what they look like. Publisher, Colin Antwis of Fieldsman Trails in Wales, said: "I wanted to make this anniversary an inclusive event, so the cards, being tactile on swell paper, can be enjoyed by both sighted and visually impaired people. The cards have been produced as part of this year's 150th anniversary of Beatrix Potter's birth celebrations. A percentage of sales from the cards will go to RNIB and Guide Dogs charities.